Hans Heilbronn's parents were cousins, Gertrud Heilbronn and Alfred Heilbronn. Hans was born into a middle class Jewish-German family. When he was six years old he entered the Realgymnasium Berlin-Schmargenhof. This school, which he attended for twelve years from 1914 to 1926, provided him with a good background in science and modern languages. During his school years he was attracted towards science and mathematics but when he began his university studies in 1926 he still had not made any definite decision to specialise in mathematics. He entered the University of Berlin taking courses from physics, chemistry and mathematics but soon he was specialising more and more in mathematics. It was only rebels who abhorred duelling - Heilbronn carried a duelling scar from his Göttingen days throughout his life. In 1930 Heilbronn was appointed as Landau's assistant and he continued to work for his doctorate. The problem which Heilbronn worked on for his doctorate was related to a conjecture made by Bertrand in 1845. Bertrand conjectured that there was always at least one prime between x and 2x for x > 1. Chebyshev proved Bertrand's conjecture in 1850 and then in 1930 Hoheisel proved that there exists a t < 1 such that for all large x, there is a prime p between x and x + xt . Heilbronn found a simpler proof to that given by Hoheisel and he also proved a stronger result by giving a smaller value of t. In his thesis Heilbronn also applied his result to primes in an arithmetic progression and to estimates of the sum of the Möbius function. It was not only Landau who formed a high opinion of Heilbronn. Davenport visited Göttingen for the summer months of 1933 and was very impressed by him. This was a piece of luck for Heilbronn who realised that he was in an increasingly difficult position in Germany. On 30 January 1933 Hitler had come to power and on 7 April 1933 the Civil Service Law had been passed which provided the means of removing Jewish teachers from the universities, and of course also to remove those of Jewish descent from other roles. All civil servants who were not of Aryan descent (having one grandparent of the Jewish religion made someone non-Aryan) were to be retired. Heilbronn was dismissed from his position as an Assistant at Göttingen and fled to England, arriving in Cambridge with enough money to support him for around six months. There is no possibility for me to continue scientific work in Germany. The Academic Assistance Council had already been informed about Heilbronn before he fled from Germany since Davenport had written to them in August 1933, after returning from Göttingen, and Hardy had also written in October of that year. Mordell arranged accommodation for Heilbronn in Manchester and asked the Academic Assistance Council if they could provide a small salary. However, the Academic Assistance Council had no funds. Even when Hassé, the Head of Department in Bristol, wrote saying that he had partial support offered by the Jewish community around Bristol to support Heilbronn, the Academic Assistance Council could not make up the difference needed. Members of the Mathematics department in Bristol then agreed to help out and an invitation went to Heilbronn in the middle of December offering him a temporary post at Bristol. Heilbronn gladly accepted the offer from the University of Bristol and he spent about eighteen months there. This was a very productive time for Heilbronn who published what turned out to be his most famous result during this time. While at Göttingen, Heilbronn had begun a collaboration with E H Linfoot and two papers which Heilbronn wrote soon after arriving in Bristol came out of this collaboration. One paper appears under Heilbronn's name alone, the other under the joint authorship of Heilbronn and Linfoot. The first of the two papers proved a conjecture of Gauss on imaginary quadratic number fields using ideas of Hecke, Deuring and Mordell. Heilbronn proved the conjecture which asserts that the class number of the quadratic number field Q(√-d) tends to infinity as d tends to infinity. This was generalised by Siegel and Brauer. In the joint paper with Linfoot, Heilbronn proved that there are at most ten quadratic number fields Q(√-d) of class number one. Nine such fields, namely those with d = 3, 4, 7, 8, 11, 19, 43, 67, and 163, had essentially been known since Euler's time. Heilbronn and Linfoot showed that for the tenth d would have to be bigger than 109. In fact Heegner proved in 1952 that this last possible example does not exist. It is worth noting that Heilbronn and Linfoot remained friends throughout their lives but their interests diverged with Linfoot's interests turning from number theory to research in optics and astronomy. I met him when he first came to Cambridge ... He was I think rather shy, and not easy to get to know quickly. My mother lived in Cambridge then, and he went to tea with her once while I was abroad ...; she wrote to me quoting Dr Johnson, "His intellect is as exalted as his stature; I am half afraid of him, yet he is no less amiable than formidable". This seems to me to give a very good impression of him in those days. After he got his parents and sister out of Germany, and settled them in a house in Chesterton Road, we became very friendly; I was often at their house, and they used to come to ours. His mother was very musical, collected a circle of refugee musicians, and used often to give musical parties; she herself was an excellent pianist. I was at many of these parties; they rather bored Hans, who had no interest in music, but he was present at many of them, as a very correct and attentive host. After Heilbronn moved to Cambridge he began a collaboration with Davenport which started in 1936 and lasted until Davenport's death in 1969, with Heilbronn publishing further joint papers with Davenport up to 1971. While at Cambridge he published four papers with Davenport, and one paper on his own, on Waring's problem. These deal with writing integers as sums of fourth powers, on sums of two cubes and a square, and on the sum of a prime and a k-th power. Heilbronn also published results on the Epstein zeta-function showing that the Riemann Hypothesis fails for this zeta function. In April 1939 Heilbronn applied for British citizenship but he was a few days too late to enable the papers to be processed before the start of World War II. As a contribution to the war effort Heilbronn organised the Trinity College A.R.P. Fire Service. However, he was interned on the Isle of Man in 1940 as an enemy alien, something which he greatly resented since nobody could have been more opposed to the Nazis than he was. The Academic Assistance Council, Hardy and others made strong representations on his behalf and he was released after many months of detention. He then served with the British forces with the Signals Corps and Military Intelligence until autumn of 1945. The Bevan Fellowship at Trinity would have ended in 1940 and Trinity had already made arrangements to continue to pay his salary. However his internment and subsequent military service put an end to this plan. He returned to Bristol in 1946 when offered a Readership there. In 1949 he was promoted to Professor and he became Head of the Department of Mathematics. 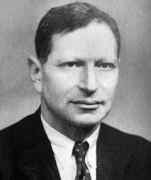 While at Bristol he worked on the Euclidean algorithm (norm function) in a general setting having already proved while at Cambridge that there are only finitely many real quadratic fields with a Euclidean algorithm. He examined the existence of a norm function for a broad class of cyclic fields. With Davenport he showed that any real indefinite diagonal quadratic form, in 5 or more variables, takes arbitrarily small values for nonzero integral arguments. For his outstanding contribution to mathematics, he was elected a Fellow of the Royal Society in 1951. ... rather stiff and formal in external manner ... I have a feeling he wanted to be popular, but found it uphill work. Heilbronn was very interested in sport, especially rowing and tennis, and while at Bristol he coached the University Boat Club. ... many other members of the department, notably the number theoreticians, were stimulated by Heilbronn and helped by his active interest in their research. He was always accessible. His manner was most direct and his intellectual honesty did not allow him to pass over in politeness whatever he felt was below standard. But although some may have found him a bit frightening at first acquaintance, he was a kind and modest man, who entirely lacked pomposity or aggressiveness. The situation in British universities began to worry Heilbronn. The Robbins Report proposed opening up university education to a large proportion of young people. The required rapid expansion greatly worried Heilbronn who felt that it was inevitable that such a rapid expansion would bring staff into universities who were below standard. He argued strongly against the proposals both at national level and within his own university. Realising that it was a battle he could never win, he resigned in 1964 and moved to North America without having a job. Not long before resigning, Heilbronn married Dorothy Greaves who was a widow whom he had known through a shared interest in bridge since his days in Cambridge. After a short stay at the California Institute of Technology at Pasadena as guests of Olga Taussky-Todd, Heilbronn and his wife moved to Toronto where he was appointed to a chair of mathematics at Toronto University. Heilbronn became a Canadian citizen in 1970 and spent the rest of his life in Canada, taking an active part national role in mathematics there. He attended the International Congress of Mathematicians in Nice in 1970 as a Canadian delegate and presented the official invitation to the delegates to attend the 1974 Congress in Vancouver. However, Heilbronn was not able to put as much effort into organising the 1974 Congress as he would have liked since he suffered a heart attack in November 1973. He made a good recovery but had to lead a quieter life. His died while undergoing an operation to fit a pacemaker to his heart. Finally we should mention that Heilbronn was president of the London Mathematical Society from 1959 to 1961, and a member of the council of the Royal Society of Canada from 1971 to 1973.